Acrylic on canvas, 2013. 112 cm x 142 cm. A work, influenced, like Queen Street, by a love of architectural elevation drawings; a deliberate attempt to create a proscenium arch-like painting, with clear recession to a flat elevation-backdrop. 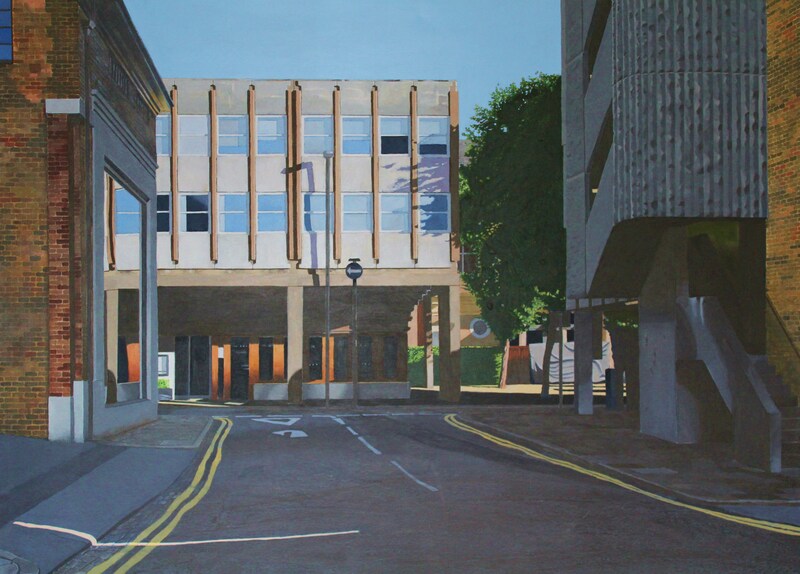 A work based on a drawing made from several reference photographs, a drawing in which the incline of the actual street was changed to a clear horizontal and the buildings correspondingly adapted.